You get a different place to explore each day. A smart cruise itinerary drops you in a new and interesting place daily, mixing must-see and hidden-gem ports and cutting out the tedium of long drives between them. 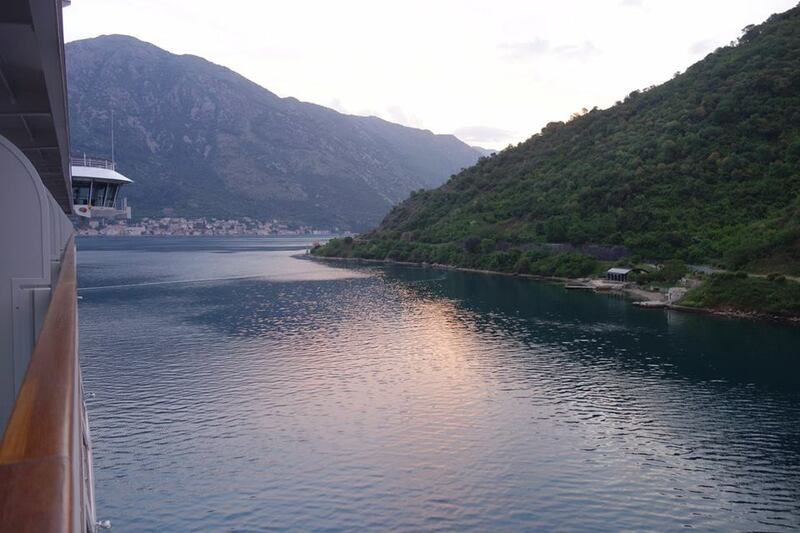 My cruise stopped in Montenegro, for instance—a pocket-sized country that, frankly, I was unlikely to see any other way. Given the Ovation’s relatively small size (it carries about 600 passengers), we were able to anchor close to land and had just a three-minute tender ride to shore. In the ancient walled town of Budva, I wandered into a tiny, homespun-feeling archaeological museum that displayed delicate, Roman-era glass vessels that have miraculously survived for nearly 2,000 years. In Kotor I left the crowds behind to follow stray cats in the maze of alleyways around the main square. 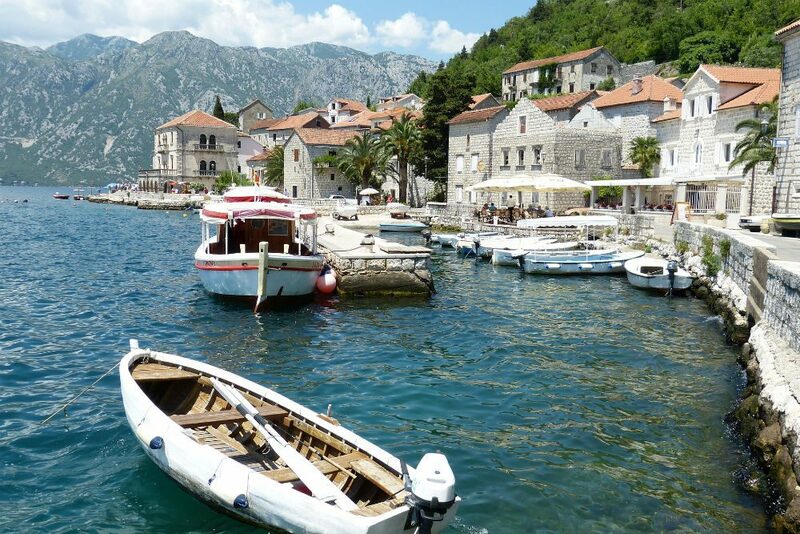 Adriatic cruises on a luxury small-ship line like Seabourn often combine a day in Montenegro with days in Croatia, Italy, and Greece too, with a schedule that allows time to eat dinner in port, after the day-trippers and other cruise passengers have gone home. The view from your room keeps changing. Think back to your all-time favorite views out the window of a resort. Now imagine getting them all on a single trip. 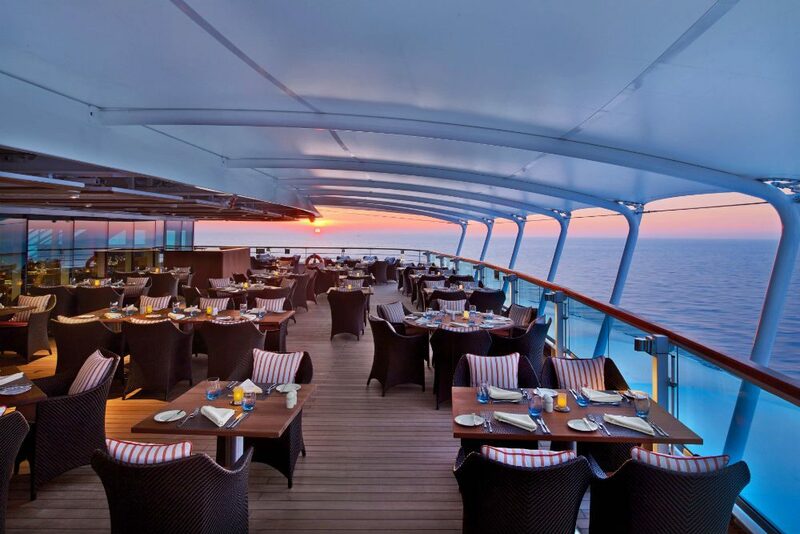 On a cruise, your view isn’t static—and you don’t have to crane your neck to find the sliver of ocean that was promised to you in the room description. 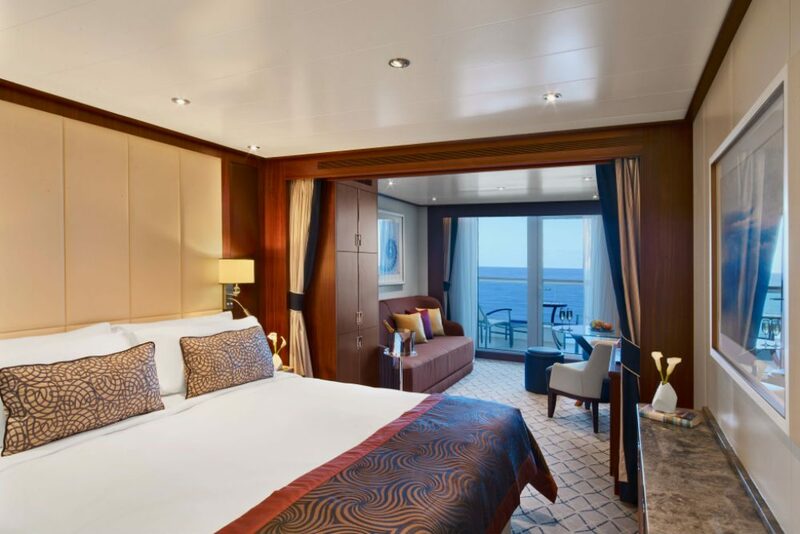 If you book through a cruise specialist on The WOW List, they’ll know which side of the ship will have the most interesting panoramas and can advise whether a balcony is worth the additional cost. Every cabin on the Ovation has a balcony; my 300-square-foot Veranda Suite (the smallest category on the ship) was also large enough to allow for two separate sleeping areas, separated by a curtain. So many logistical hassles of travel are eliminated. It’s been said many times that taking a cruise means you only have to unpack once. But the removal of travel stressors goes far beyond that: No checking in and out of hotels, memorizing a new room number every day, familiarizing yourself with each hotel’s layout, guessing at the right choice from yet another breakfast buffet, or jockeying wheeled suitcases over cobblestoned streets and through train stations. On the right ship, you can also avoid the annoyance of crowds: I only had to line up once, when boarding the tenders to Kotor; and while deck chairs never became a precious commodity, I found a particularly quiet spot to the aft of the ship’s Sun Deck. Dining options abound and room service is free. Many boutique resorts have just one or two dining rooms. On the Ovation, I had five varied and excellent restaurants to choose from; I never had to eat from a buffet if I didn’t want to, and the only restaurant requiring a reservation was the Thomas Keller-helmed Grill. There was no charge for room service, which the wait staff was happy to bring in courses, and complimentary Champagne and caviar were available 24 hours a day. 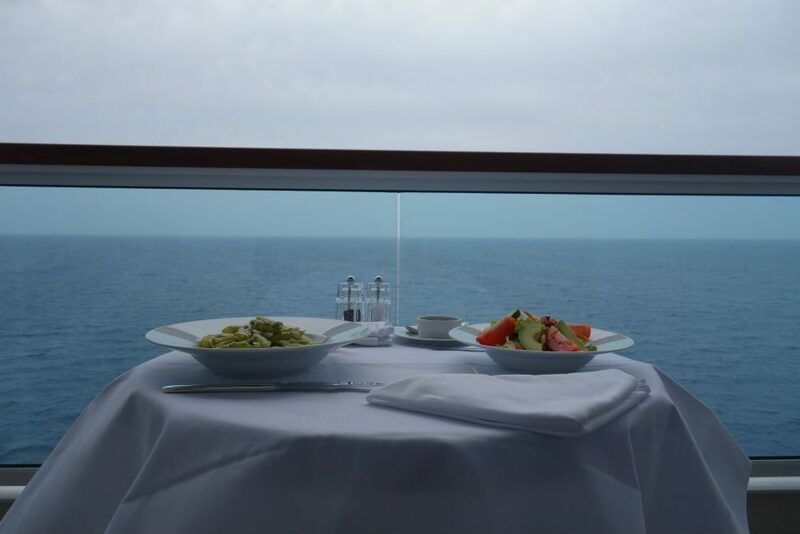 Seabourn’s all-inclusive pricing includes a wide selection of complimentary wines, and I learned that if I wanted something different from what they were pouring that night, all I had to do was ask. You can eat al fresco in your bathrobe. It was over breakfast on our balcony that my travel companion fell hard for the boating life (see I Thought I Was Too Cool for Cruising). Remember that ever-changing view? It can be the backdrop for breakfast, lunch, and dinner. 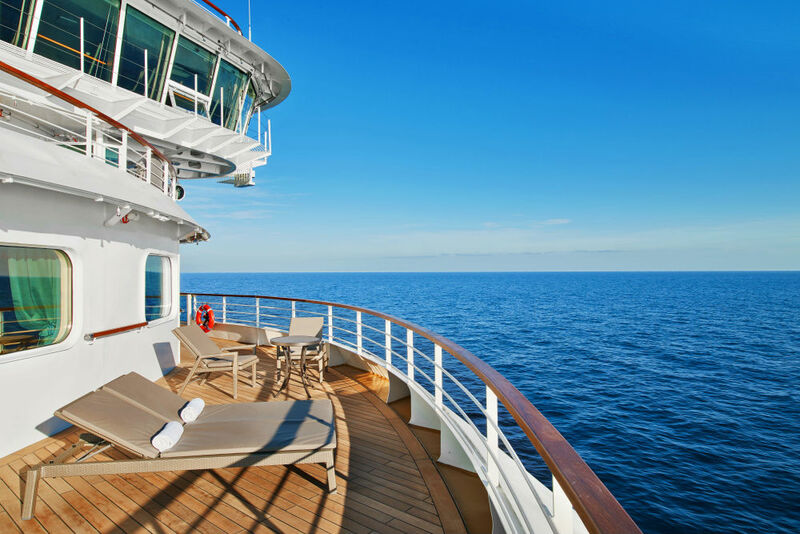 And while the dress code on Seabourn rarely goes beyond a collared shirt or a blouse, terrycloth will do just fine on your private veranda. Next time you’re looking for a restorative getaway but you’d rather see more of the world than the confines of a single resort, you might consider a cruise. I know I will. 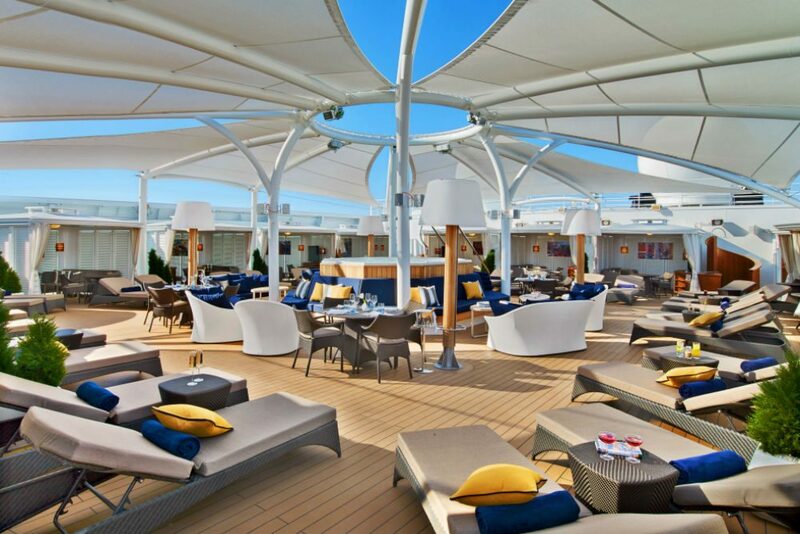 Disclosure: Our writer was offered a complimentary cruise on the new Seabourn Ovation’s very first voyage. In keeping with WendyPerrin.com standard practice, coverage was not guaranteed and remains at our editorial discretion. 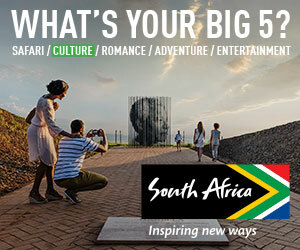 You can read the signed agreement between WendyPerrin.com and Seabourn here. Thanks, Billie, for the Cruise Critic reference. Sandy, I feel your pain — I still (occasionally) get seasick after 20-plus years of covering the cruise industry! My best tip: Opt for a river cruise, where you are in protected waters (and I love always having a landscape to look at). Another good option is Alaska’s Inside Passage (though you may be at sea for part of a day going there, and coming back. As for potions, I am pretty confident that Bonine, a chewable, aspirin like pill, has kept me upright for years. Cruising, both river and ocean, is flat-out wonderful, except for the sheer numbers of passengers on a big ship. If you take a little time to scope out the ship and the schedule, you can eliminate most of the queues and crowding . That makes for a MUCH more enjoyable cruise. For example, on our Rhine & Mosel cruise in May, we opted to have most dinners out on the area at the bow which adjoins the lounge. It was all “little bites” buffet style and we loved consuming less food while eating exactly what we pleased. The last night as we cruised, everyone else was in the dining room. We were up on our “private deck” with our own waiter who kept dashing up the stairs to pour us more wine. The river was like glass, and the sun setting behind the trees was awesome. My husband and I went on one cruise with the Paul G. in Tahiti many years ago. We loved it except for one thing- – I was terribly seasick and had to have an injection by the ships doctor. Unfortunately, the patch did not work for me on a second cruise for two days which was miserable. Any new developments/meds for the sea sick challenged as we would love to go on another cruise.